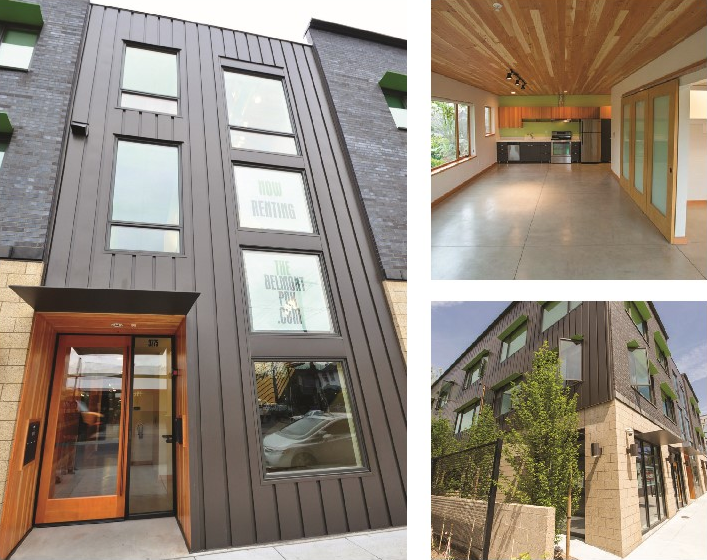 The Belmont is a new three (3) story masonry and wood framed mixed-use building, offering 16 apartment units on the upper two floors and 2 retail spaces on the main level with secure parking for residents. 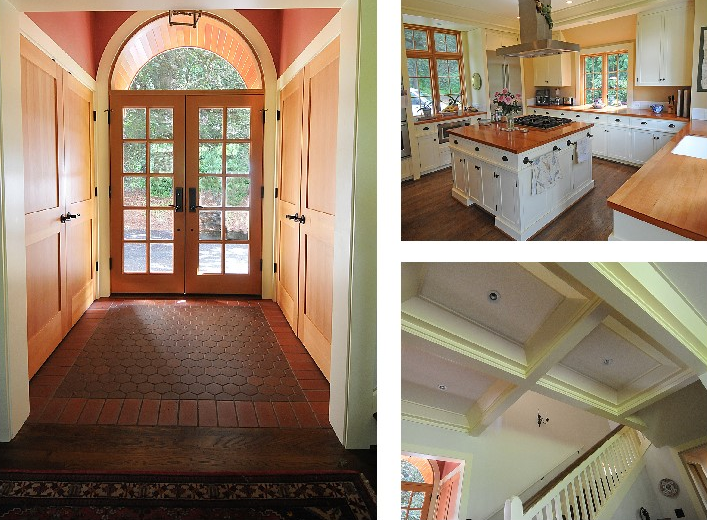 The Russell House is a 3,200 sqft custom home designed by notable historic architect William Hawkins. The house is designed to appear and have the feel of a home built in the 1950’s. 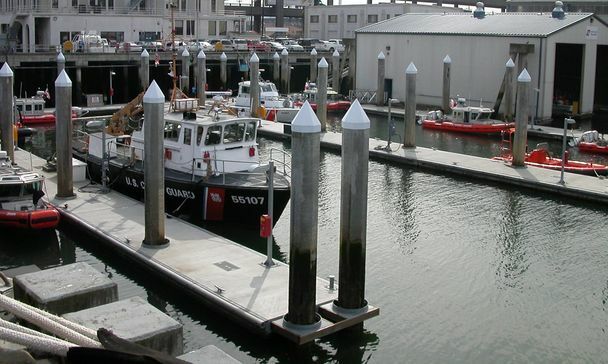 Skyward completed this new dock facility in downtown Seattle in 2006 for the US Coast Guard. 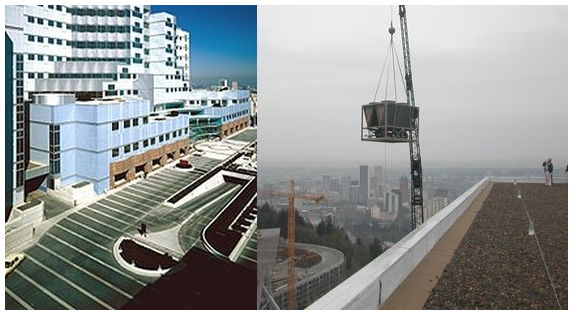 Skyward has been very successful working within an operating hospital and has extensive experience with the tolerances required to build new surgery suites and install specialized equipment. 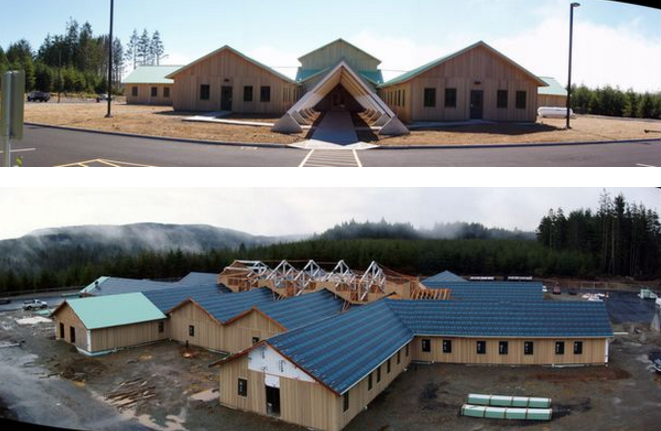 This project is a much needed health clinic for the Quinault Indian Nation in Taholah, Wa on the Washington Coast. 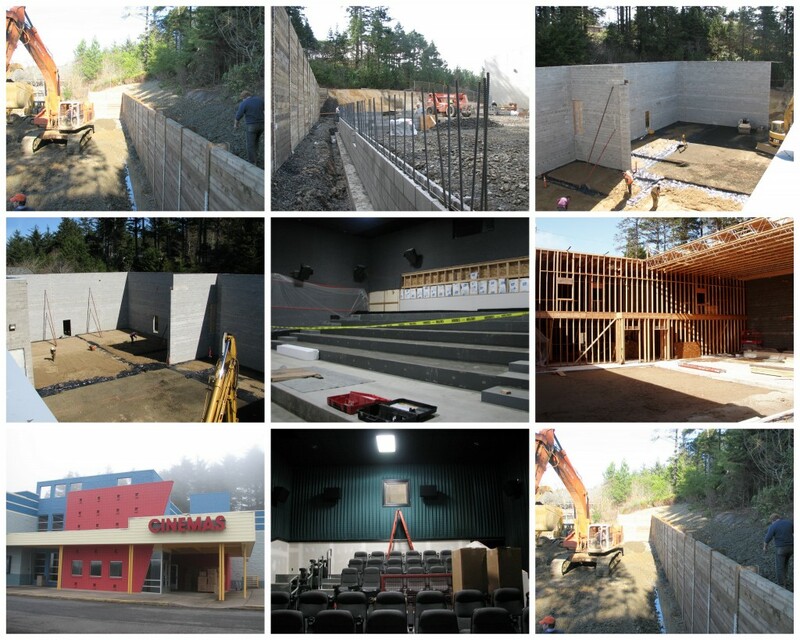 With over 88 inches of annual rainfall, building in Taholah is not easy. Regardess, Skyward Completed this medical center on time. 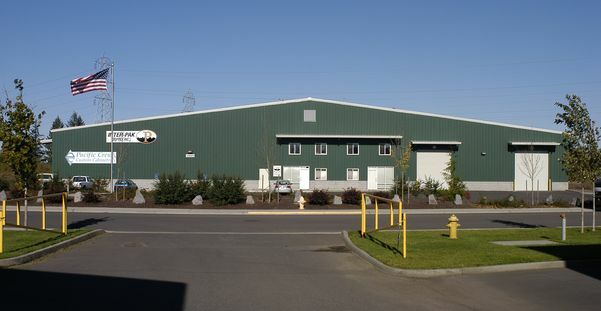 This 50,000 sqft building included numerous truck rams and loading docks. 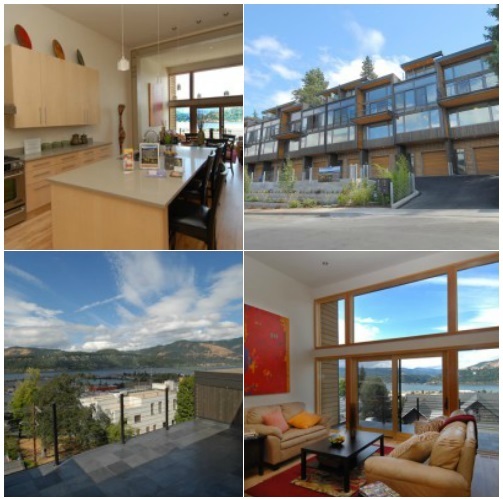 Built to LEED standards but never certified, this building fits in with the feel of the town of Hood River. Water from the roof is collected and stored in the basement and used for toilets and landscaping. 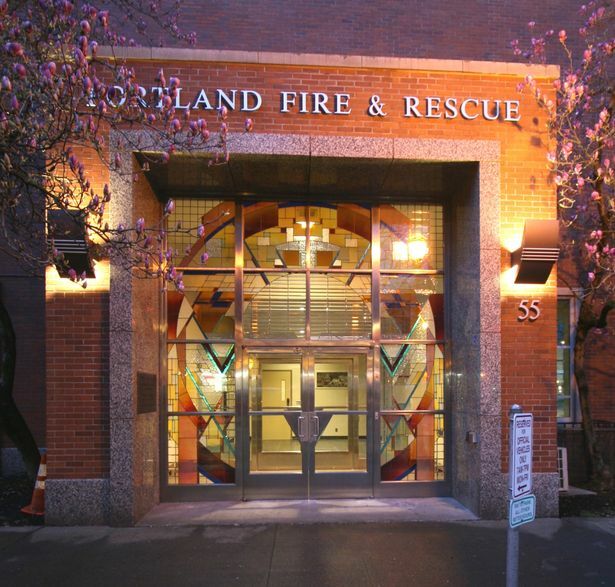 A LEED Platinum building built in the trendy North Mississippi part of Portland. 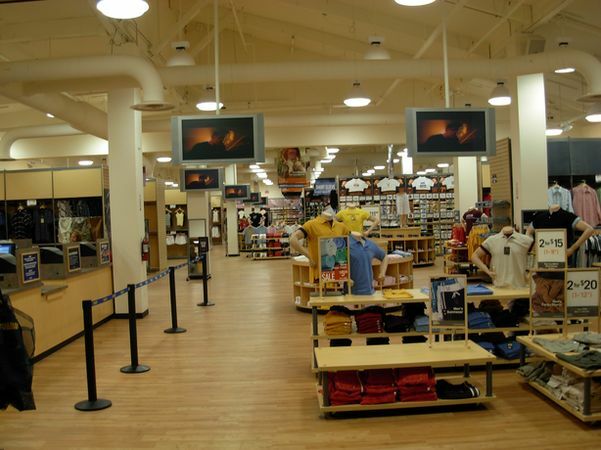 Fast track retail project in very busy mall. 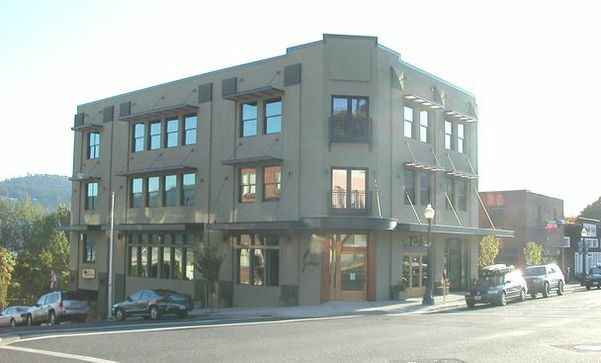 Located in Lake View Village in the heart of Lake Oswego this high end bank build-out turned out to be a stunning headquarters for the Bank of Oswego. Skyward’s attention to detail really made this TI shine. 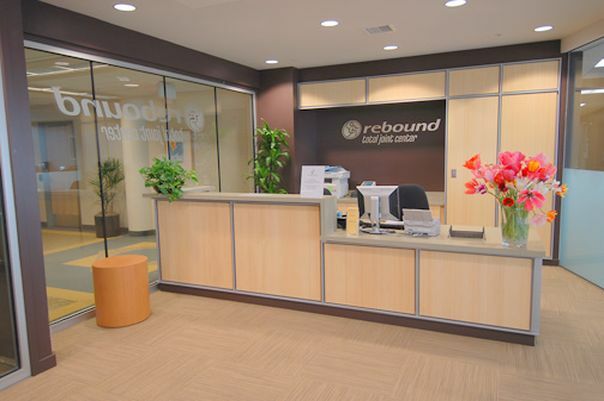 This was a high end medical office space tenant improvement. 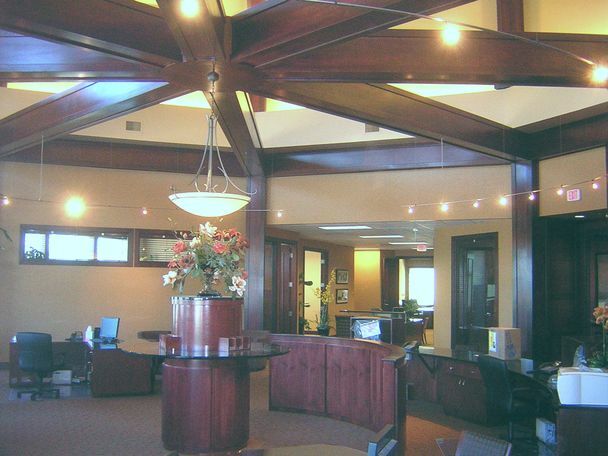 Project included glass partition walls, high end millwork, installation of X ray machine, and multiple examination rooms. The space is located above operating rooms making the installation of below floor plumbing lines very sensitive. Before we arrived the exterior of the Longview Library was in very poor condition. The roof was leaking, the terra cotta tiles were damaged, windows were inoperable, and there was worry about collapse of the brick veneer. 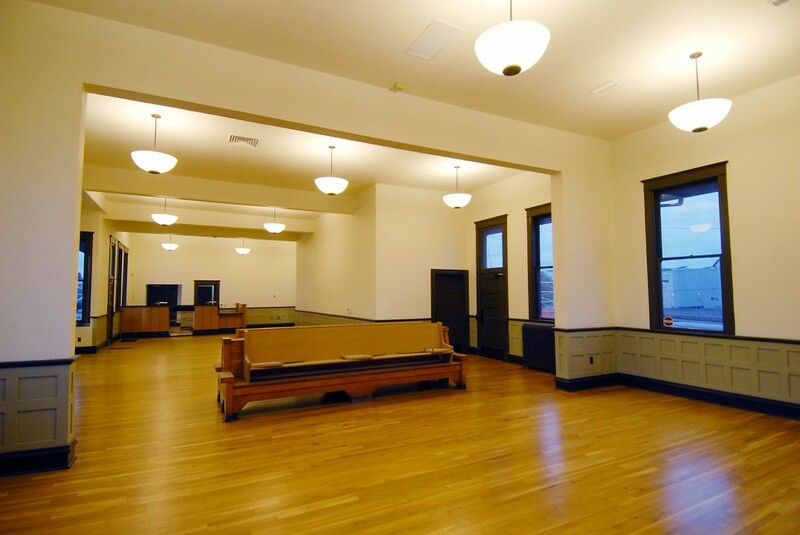 Historical Restoration of Amtrak Station originally built in 1908. 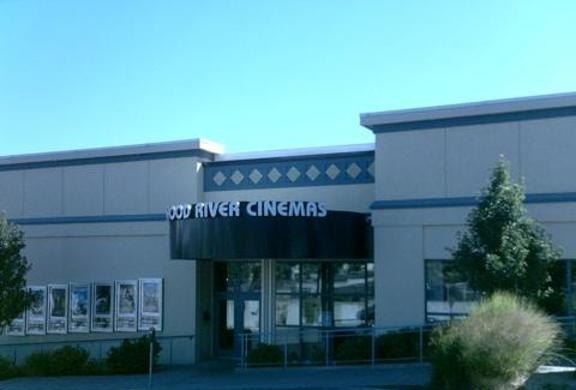 Work included refinishing the original maple wood flooring, fabricating custom solid doug fir doors and windows to match orginal, and the fabrication of a new ticket counter. Skyward does not typically build single family residences, however when we were approached by the owner and architect with these drawings we could not refuse this challenge. 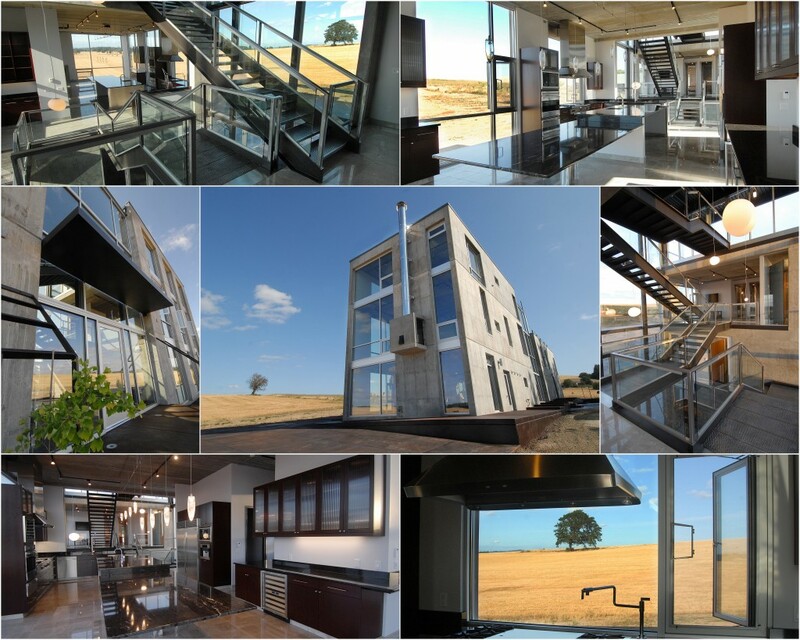 The home is a cast in place concrete structure utilizing pre-cast hollow core concrete panels for the elevated floors and the roof system. 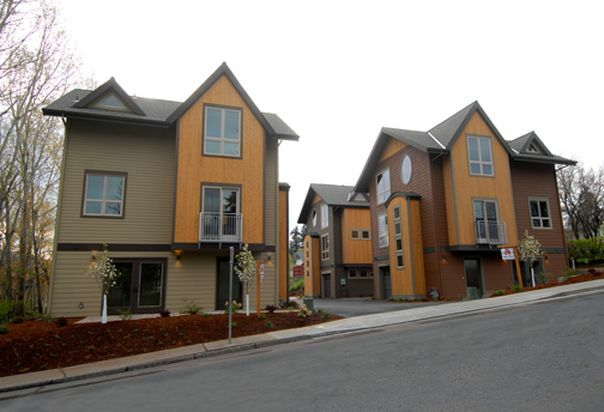 Wyers End is an 18 unit cottage community that was designed by Ross Chapin Architects and developed by Smart Development from Hood River, Or. 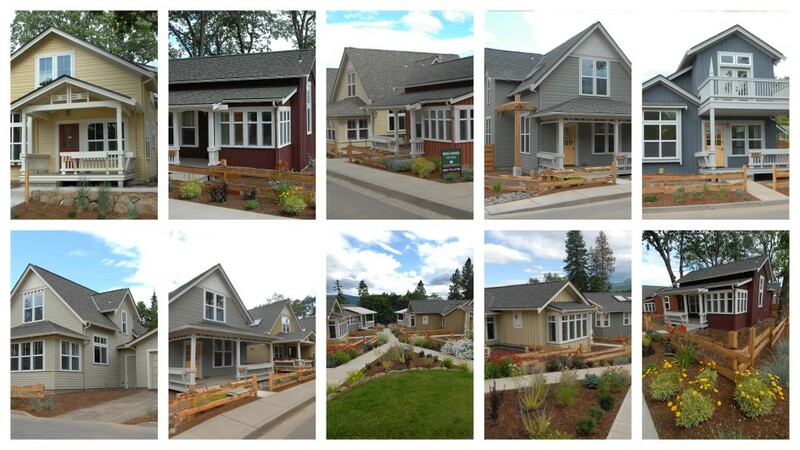 Ross Chapin has won many awards in the design and implementation of cottage communities in the Puget Sound area. This expansion is built into a hillside. During excavation the hillside became unstable and a retaining wall with extensive dewatering was required. 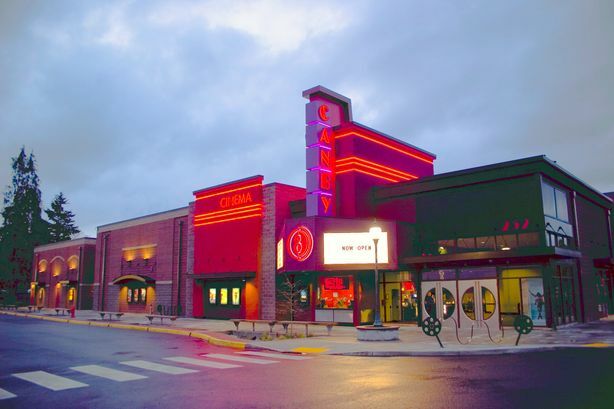 This ground up project was completed in just 7.5 months. 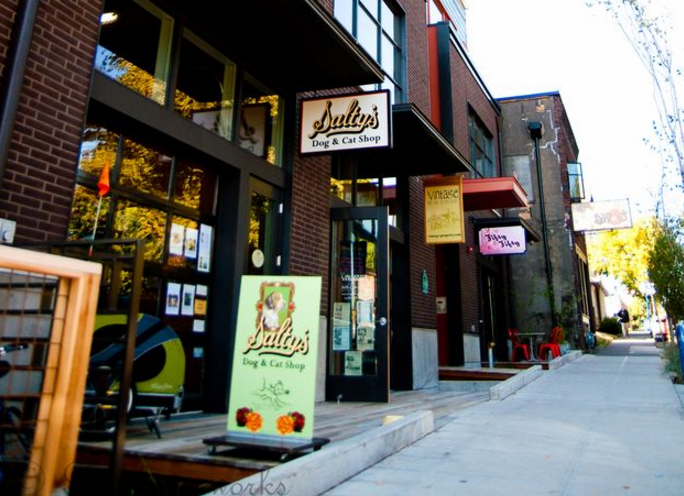 The goal was to open by Thanksgiving 2009 and that goal was met. Skyward’s superintendent, John Hegenhan kept things moving ahead and instilled a team approach to the project. 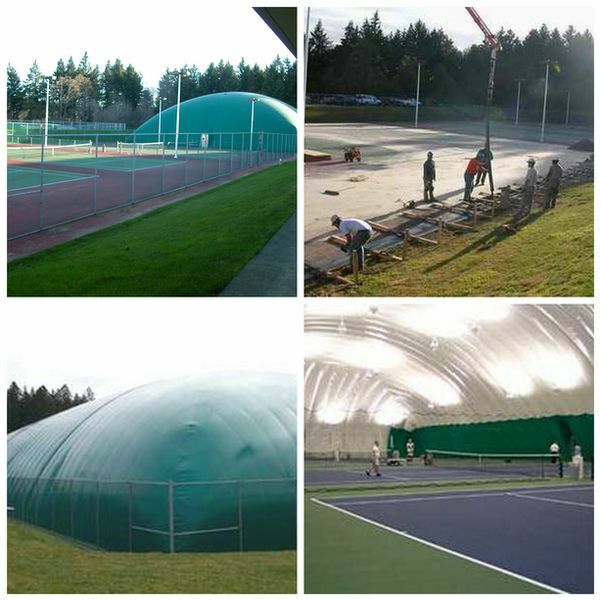 Skyward installed this 4 court air supported dome, sourced from the Farley group, over 4 courts at the Tualatin Hills Parks and Recreation district facility in Beaverton, OR. The dome is inflated in the fall and removed for the summer. 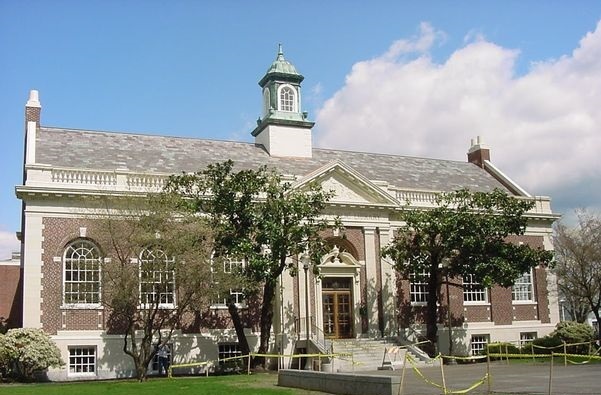 ‍This fast track project included a 20,000 sqft expansion and 20,000 sqft modernization of the existing LaCenter High School. The new addition housed a new modern state of the art library. 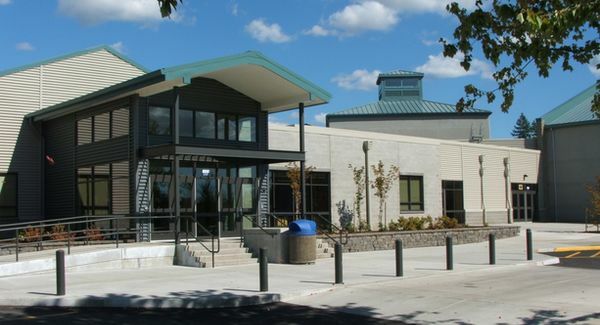 The expansion included an updated cafeteria, classrooms, and entrance. 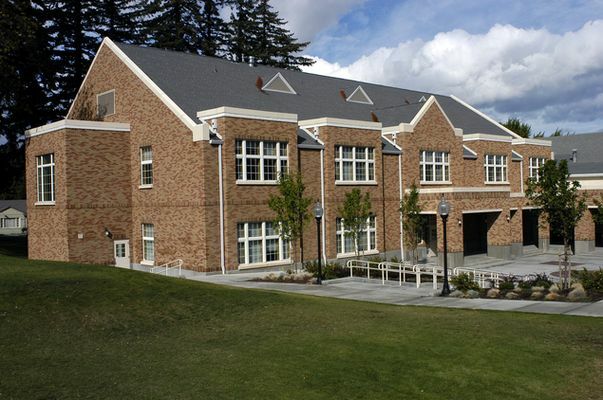 The 15,000 sqft addition to the historic school was designed to match the rest of the campus. When the building was completed, everyone agreed that it fit in well. 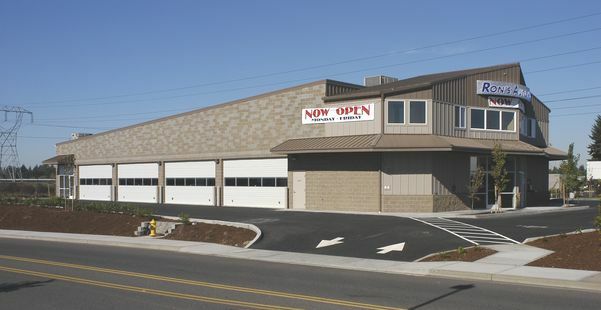 Building at the Oregon Coast during the winter is never easy, but Skyward persevered and completed this impressive new building on time and on budget. 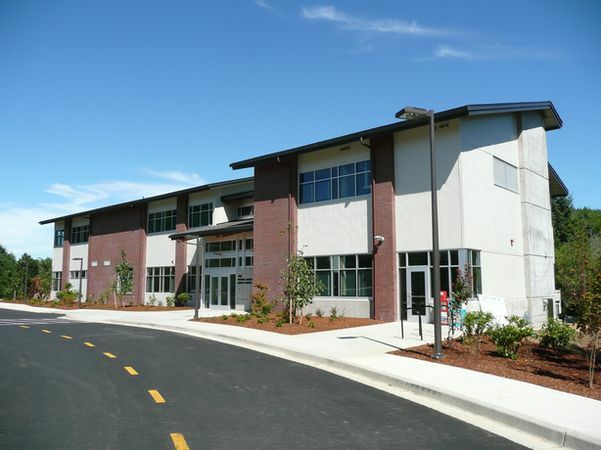 Oregon Coast Community College was thrilled with their new building. Seismic upgrades included over 200 new jet grouted piles drilled through the foundation and new concrete shear walls and collector beams.